Fahrenheit 9/11 is a 2004 documentary film by American filmmaker, director and political commentator Michael Moore. The film takes a critical look at the presidency of George W. Bush, the War on Terror, and its coverage in the news media. The film is the highest grossing documentary of all time. In the film, Moore contends that American corporate media were "cheerleaders" for the 2003 invasion of Iraq and did not provide an accurate or objective analysis of the rationale for the war or the resulting casualties there. The film generated intense controversy, including disputes over its accuracy. The film debuted at the 2004 Cannes Film Festival and received a 20-minute standing ovation, among the longest standing ovations in the festival's history. The film was also awarded the Palme d'Or, the festival's highest award. The title of the film alludes to Ray Bradbury's 1953 novel Fahrenheit 451, a dystopian view of the future United States, drawing an analogy between the autoignition temperature of paper and the date of the September 11 attacks; the film's tagline is "The Temperature at Which Freedom Burns". Grossing over $222 million total worldwide, the film was the highest grossing documentary of all time, according to Box Office Mojo. The film had a general release in the United States and Canada on June 23, 2004. It has since been released in 42 more countries. On Al-Jazeera in August 2012, Moore claimed the movie "grossed about half a billion dollars" worldwide. 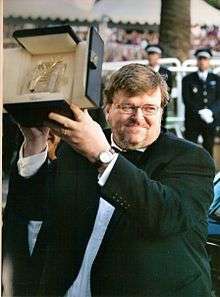 Nine months after Fahrenheit 9/11 received the Palme d'Or, George W. Bush, Donald Rumsfeld and Condoleezza Rice won the Worst Actor, Worst Supporting Actor, Worst Supporting Actress, and Worst Screen Couple in the 25th Golden Raspberry Awards because of their mishandling of the 9/11 attacks and the Iraq War. In February 2011, Moore sued producers Bob and Harvey Weinstein for US$2.7 million in unpaid profits from the film, stating that they used "Hollywood accounting tricks" to avoid paying him the money. They responded Moore had received US$20 million for the film and that "his claims are hogwash". Eventually, Moore reached a settlement with Bob and Harvey Weinstein, and the lawsuit was dropped. 1 2 3 "Fahrenheit 9/11". Box Office Mojo. Retrieved 2 October 2011. 1 2 "Fahrenheit 9/11 (Fahrenheit 911)". festival-cannes.com. Archived from the original on 18 January 2012. Retrieved 2 October 2011. ↑ Fleming, Michael (27 March 2003). "Moore tools up for another furor". Variety. Retrieved 2 October 2011. ↑ Fleming, Michael (8 May 2003). "Moore's hot-potato '911' docu loses an Icon". Variety. Retrieved 2 October 2011. ↑ "Moore's War; After skewering a sitting president, a Detroit mogul, and a cultural icon, Michael Moore is taking on the health-care industry". accessmylibrary.com. Archived from the original on March 12, 2010. ↑ Rutenberg, Jim (5 May 2004). "Disney Is Blocking Distribution of Film That Criticizes Bush". The New York Times. Retrieved 2 October 2011. ↑ Stuart Miller (16 October 2005). "The ripple effect". Variety. Retrieved 2 October 2011. ↑ "Weinstein Brothers buy Moore's Fahrenheit 9/11". ctv.ca. 29 May 2004. Retrieved 2 October 2011. ↑ "Commondreams.org". Commondreams.org. 2004-07-02. Retrieved 2012-06-15. ↑ Johnnie L. Roberts (2004-07-11). "Newsweek.com". Newsweek.com. Retrieved 2012-06-15. ↑ Bruce Orwall (2 July 2004). "Big Part of 'Fahrenheit 9/11' Profit Goes to Charity". commondreams.org. Retrieved 2 October 2011. ↑ "Fahrenheit 9/11 - International Box Office Results". Box Office Mojo. Retrieved 18 September 2011. ↑ Paul Magnusson (12 July 2004). "Will Fahrenheit 9/11 Singe Bush". BW Online. Retrieved 18 September 2011. 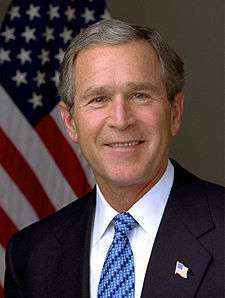 ↑ "Kuwait bans anti-Bush documentary". BBC News. 2 August 2004. Retrieved 3 October 2011. ↑ Banafsheh Zand-Bonazzi (29 September 2004). "Iranian Citizens Trash Fahrenheit 9/11". frontpagemag.com. Retrieved 3 October 2011. ↑ Josh Grossberg (August 3, 2004). "Moore's Cuban Oscar Crisis?". E Online. Retrieved 3 October 2011. ↑ Brett Sporich (6 October 2004). "'Fahrenheit' Burns Home-Video Sales Records". Reuters. Archived from the original on 11 October 2004. Retrieved 3 October 2011. 1 2 "Fahrenheit 9/11". Rotten Tomatoes. Retrieved 3 October 2011. ↑ "Fahrenheit 9/11". Metacritic. Retrieved 3 October 2011. ↑ Hollywood and the war machine (Television production). Empire. Al Jazeera. 2012-08-06. Event occurs at 20:05. Retrieved 2012-09-03. And, contrary to what everybody said would happen, the film to date has grossed about half a billion dollars worldwide. ↑ 'Fahrenheit' lights fire in Cannes debut, The Hollywood Reporter. May 18, 2004. Archived September 30, 2007, at the Wayback Machine. ↑ Anti-Bush film tops Cannes awards, BBC News Online. May 24, 2004. 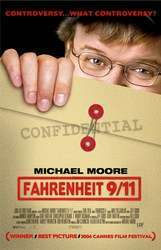 ↑ "Palme d'Or to "Fahrenheit 9/11" by Michael Moore". festival-cannes.com. May 23, 2004. Retrieved 3 October 2011. ↑ Jon Alvarez (28 May 2004). "The French, Michael Moore, and Fahrenheit 9/11". chronwatch.com. Archived from the original on 15 August 2004. Retrieved 3 October 2011. ↑ "Festival de Cannes - From 15 to 26 may 2013". Festival-cannes.com. Retrieved 2012-06-15. ↑ "Moore film 'won Cannes on merit'". BBC News. 23 May 2004. Retrieved 3 October 2011. ↑ Caroline Briggs (11 May 2005). "'No politics' at Cannes festival". BBC News. Retrieved 3 October 2011. ↑ Hirschberg, Lynn. The Call Back: Quentin Tarantino, T magazine, Summer 2009. ↑ 2005: And the Nominees Are..., The People's Choice Awards. Last Visited Friday, Nov. 28, 2014. ↑ "George Bush wins Razzie award". Fairfax Media. Retrieved 2016-03-31. ↑ Hitchens, Christopher (21 June 2004). "Unfairenheit 9/11: The lies of Michael Moore". Slate.com. Retrieved 5 October 2011. ↑ "A defense of Michael Moore and "Fahrenheit 9/11"". blueyonder.co.uk. Retrieved 5 October 2011. ↑ Koch, Ed (29 June 2004). "Koch: Moore's propaganda film cheapens debate, polarizes nation". WorldTribune.com. Retrieved 5 October 2011. ↑ "Film footnotes: Fahrenheit 9/11". MichaelMoore.com. Retrieved 5 October 2011. 1 2 3 Kasindorf, Martin; Keen, Judy (25 June 2004). "'Fahrenheit 9/11': Will it change any voter's mind?". USA Today. Retrieved 5 October 2011. ↑ McNamee, Mike (12 July 2004). "Washington Outlook: Will Fahrenheit 9/11 Singe Bush?". BusinessWeek. Retrieved 5 October 2011. 1 2 "Film-maker Michael Moore sues Weinstein brothers". BBC. 9 February 2011. Retrieved 5 October 2011. 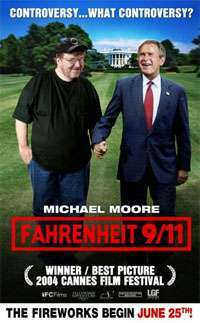 ↑ "Michael Moore, Harvey Weinstein Settle 'Fahrenheit 9/11' Lawsuit". The Hollywood Reporter. Stewart, James B. (2005). DisneyWar. New York: Simon & Schuster. ISBN 0-684-80993-1.